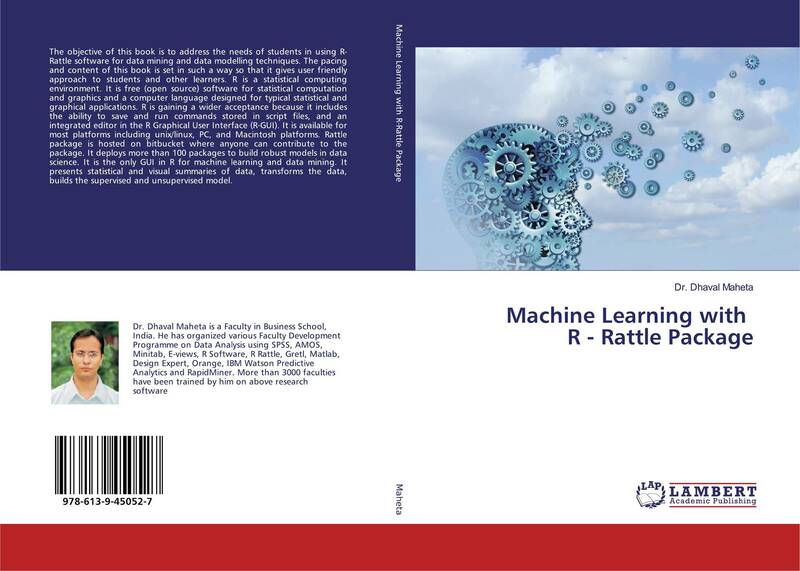 The objective of this book is to address the needs of students in using R-Rattle software for data mining and data modelling techniques. The pacing and content of this book is set in such a way so that it gives user friendly approach to students and other learners. R is a statistical computing environment. It is free (open source) software for statistical computation and graphics and a computer language designed for typical statistical and graphical applications. R is gaining a wider acceptance because it includes the ability to save and run commands stored in script files, and an integrated editor in the R Graphical User Interface (R-GUI). It is available for most platforms including unix/linux, PC, and Macintosh platforms. Rattle package is hosted on bitbucket where anyone can contribute to the package. It deploys more than 100 packages to build robust models in data science. It is the only GUI in R for machine learning and data mining. It presents statistical and visual summaries of data, transforms the data, builds the supervised and unsupervised model.